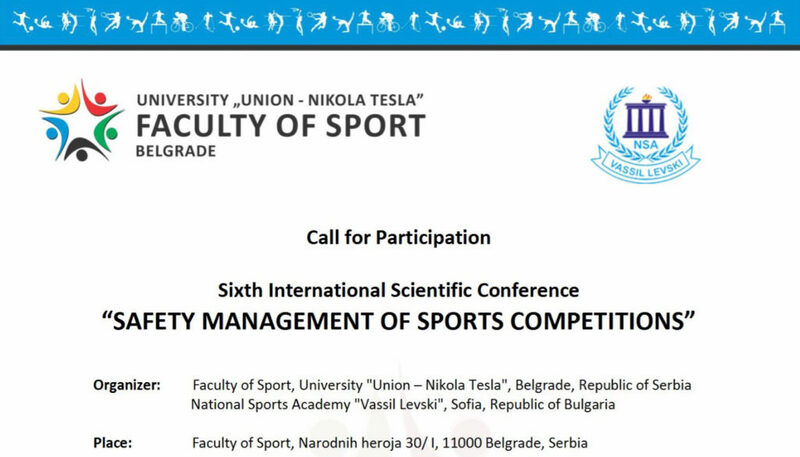 This Call refers to the sixth international scientific committee “Safety Management of Sport Competitions”, taking place next 17th May in Belgrade organised by the Faculty of Sport in cooperation with the National Sports Academy “Vassil Levski”, (Sofia – Bulgaria). The aim of the Conference is the exchange of knowledge, experience and information relevant to solving theoretical and practical issues in the fields of management and security of sports competitions, with special emphasis on the prevention of violence and misbehavior at sports arenas. The role of mass media in prevention of violence and misbehavior at sports arenas.